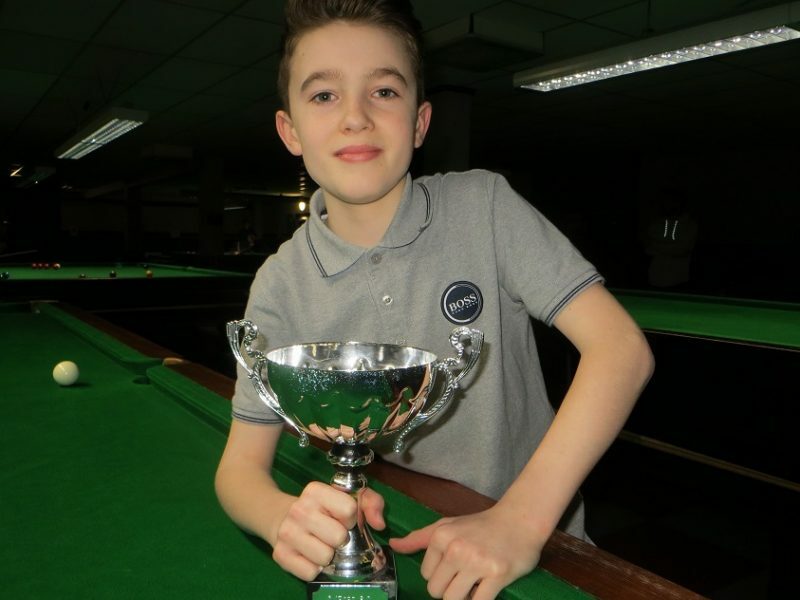 RICCARDO Drayton (pictured) has retained the Easter Cup at Chandlers Ford Snooker Club in emphatic style. The 12-year-old won eight of his ten snooker frames to take the Day 10 prize and to extend his overnight lead of 23 points over O’Shay Scott to 26. Oliver Sykes finished third and Fiona Cunningham was fourth. During the ten days of snooker-based activities, Drayton also recorded the highest break of 57 plus seven others of 30-plus as well as passing Level 7 of the Cuestars Coaching Programme. Sykes’s 132 total clearance was the highest line-up score. And the 12-year-old chalked up the best billiards break of 42 and the top cricket break of 76. Cuestars director John Hunter has confirmed that three records were set on Day 2. Sykes is the youngest player to have ever passed Level 10 of the Cuestars Coaching Programme. Nine-year-old Scott is the youngest to pass Level 8. And five-year-old William Thomson is the youngest to pass Level 3. New personal best breaks were made by Toby McIlroy, with an eight, and Cunningham, with an 11. The following day, Scott beat his highest break twice. He knocked in a 40 to beat Jamie Wilson in the Under-19 League and then added a 45 against Riley Ellis in the Open Series. FINAL RANKINGS: Riccardo Drayton 136, O’Shay Scott 110, Oliver Sykes 84, Fiona Cunningham 80, Joe Hampson 56, Harry Wyatt 48, Alex Quartermaine 42, William Thomson 38, Ellise Scott 23, Lewis Sherwood 19, Connor Benzey 15, Byron Tolliday-Watts 15, Lennon Savage 12, Ryan Hughes 5, Nico Flower 5, Toby McIlroy 4. The next school holiday competition with World Snooker coach Tim Dunkley is the Ken Jones May Half-Term Cup (May 28-June 1). And then it’s the 29-day Rotary Summer Cup.